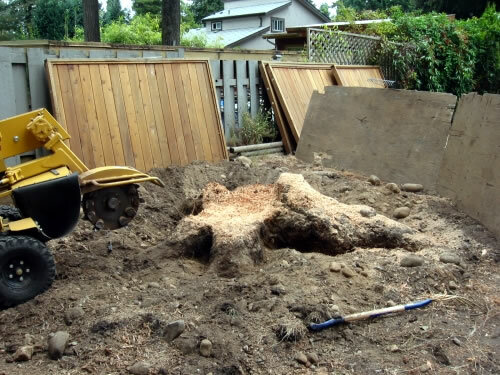 Depending on the size of the stump, digging it out by hand would take anywhere from a day or more to well over a week, and make quite a mess. 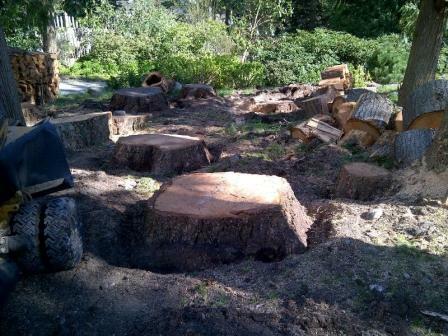 Although it still takes time, using a stump grinder for stump removal is often the best choice. 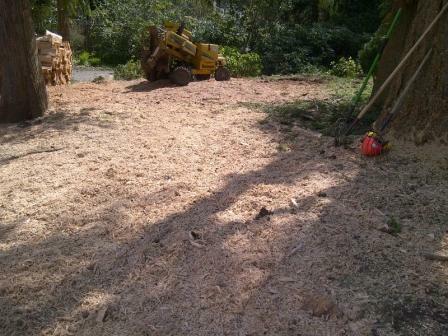 Once the chips from the stump grinding have been removed, the surrounding grounds are levelled, and new tree or grass replanted. If this is done early in the year, the new yard can be fully green by the end of the year. 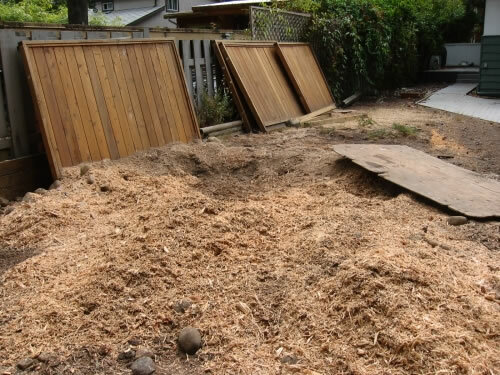 To see more about our general tree services, see Tree Services.